Looking for resources to help build the movement to get big money out of politics? We’ve got you covered. 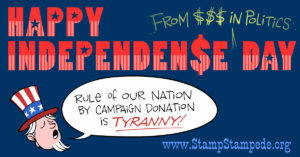 Below you’ll find a downloadable version of our legal opinion, an updated brochure, stamping tips, our logo, and more — everything you need to help spread the message, recruit more stampers and get money out of politics. Please use these images to support the Stampede’s mission or illustrate stories about our campaign and not for any other purposes. Are there resources that you are looking for, but can’t find? 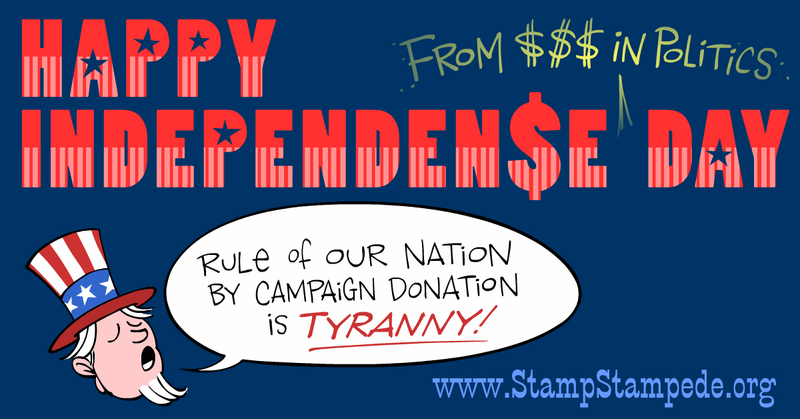 Email us at info@StampStampede.org and we will help find or create what you are looking for. If you are looking for more information about a proposed amendment to the U.S. Constitution to get money out of politics, check out www.United4ThePeople.org. There you will find a full list of different amendments and supporters in the states and in Congress. Download a PDF outlining the legal options when stamping money. Download the PDF Brochure outlining what we are all about. Looking for a guide to be a better stamper? Check out these tips and examples from our Head Stamper. Download the PDF of the “Join the Stampede” Flyer v. 1 to post around your community! 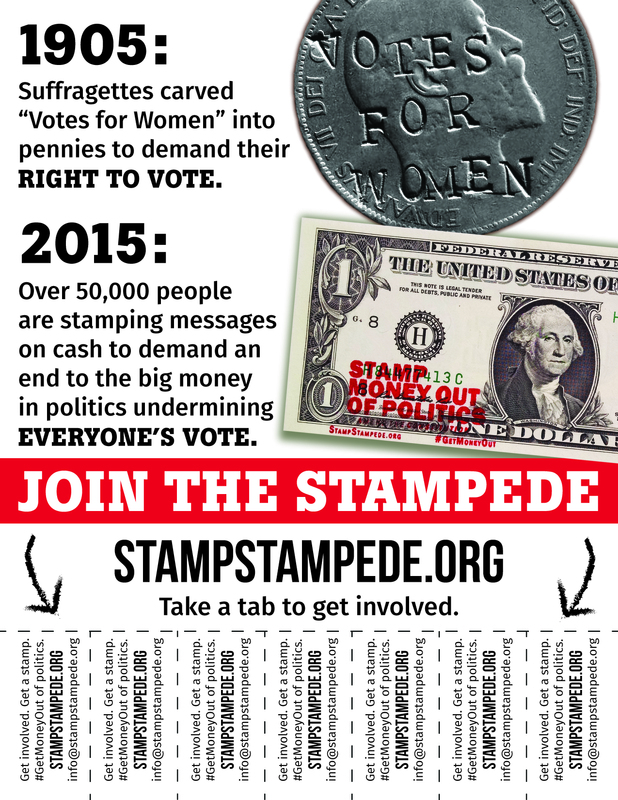 Download the JPG of the “Join the Stampede” Flyer v. 2 to post around your community!